iOS 9 adoption jumped to 66% after iOS 9.1 emojis updated. Since that update, its adoption has grown by 10 percent with iOS 9.2 release. 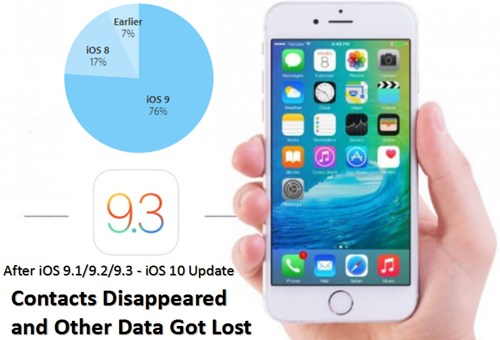 It is safe to say that more than 80% devices will use iOS 9+ with the upcoming iOS 9.3. There are always new features that rock our world after each iOS releases. However, you may notice that some data got lost, especially iPhone Contacts disappeared, after you eagerly upgrade your device. Just read on. Here are several ways you can fix those problems. Sign in to iCloud.com in a web browser on PC. Click “Settings” and scroll down to “Advanced” section. Click “Restore Contacts” under “Advanced”. Click “Restore” next to the date before you updated iOS. After the restore completes, it will inform you of the result and send you a report email. Bring up the Summary for your iPhone and check the date of “Latest Backup”. 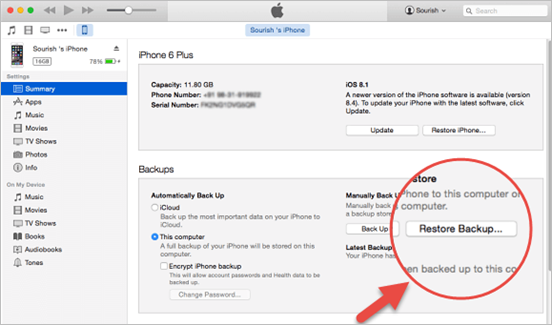 Select “Restore Backup” – this will replace everything on your iPhone with that from the backup. As always, there is the alternative of using third-party software to solve those problems and one such program called Free iPhone Recovery is highly recommended. 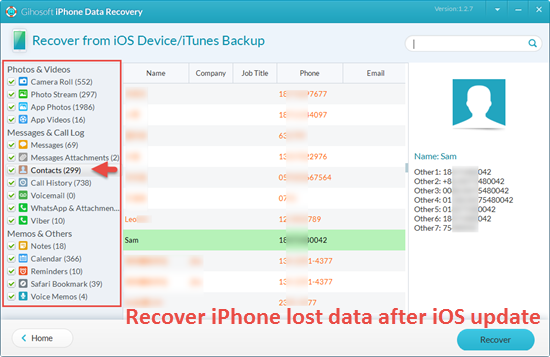 It is a data recovery software which can recover contacts, photos, text messages and more than 16 types of files from your iPhone or iPad. Just download and install it to retrieve the lost contacts and other data caused by iOS 9, iOS 10 update. Open the freeware and select the types of data you want. Connect your iDevice to PC and begin to scan data from device or iTunes backup. After the Scanning, preview and selectively recover the lost data.